Of all the cities in America, Detroit, Michigan may provide us with the best opportunity to discover how to create a connection to nature within an urban population. Detroit is a place of glass and asphalt and steel juxtaposed block by block with wild prairies, emerging woodlands, and re-emergent wetlands. We are immersed in a kind of new nature here, but most Detroiters quite literally can’t see the forest for the trees. Detroit is a place of contradictions where the unexpected is a daily occurrence. Here, we see pelotons of cyclists 300 strong, first rolling along in the company of a stray dog or a lone pheasant on urban avenues that no longer host any homes, and then pedaling toward downtown streets crowded with cranes marking new building development. 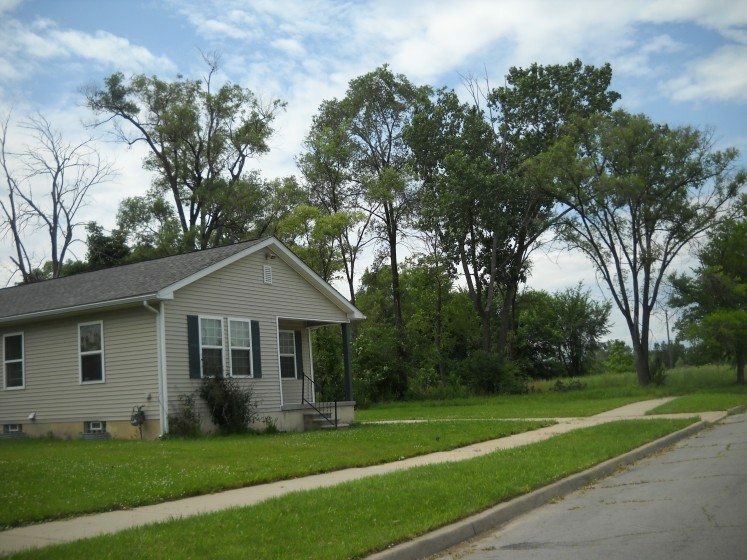 These contrasts fascinate the world, but it is the wildlands which are emerging in between these extremes—places like the small second stage forest which has grown up on what was once an illegal dump site on King Street, pictured above, or the pockets of prairie that have claimed blocks of former home sites in the old Briggs Neighborhood, that are most interesting and which may actually have the most potential to improve the lives of Detroiters by providing them with the opportunity to cultivate a lasting connection to nature. Wikipedia will tell you that the Wildland Urban Interface is that zone of “transition between unoccupied land and human development.” This zone (the WUI) is often studied for its relevance to outbreaks of wildfire, and particularly the escalating danger to human lives and property that wildfires represent as more and more homes are built within the wildland urban interface which exists on the outer edges of suburban development. Traditionally, we investigate human intrusion into the wildlands and discuss the disruption in natural systems (including suppression of wildfire) that this causes. In urban areas, the wildland urban interface receded long ago and, for the most part, urban residents no longer consider themselves to be part of the interface with nature. But in Detroit wildland has suddenly and unmistakably appeared in spaces where neighborhoods recently stood. Here, wildlands exist within the city limits, not on the outer edges of development. After decades of disinvestment and abandonment in the urban core, there is, once again a “zone of transition between unoccupied land and human development.” In this context, we see an unpredictable—and often interesting—disruption in human activities caused by nature’s wild return. It is this disruption that has created space, both literally and figuratively, for Detroiters to discover a connection with nature. I recently moderated a brainstorming session for high school students tasked with generating ideas for improving the environment of their neighborhoods. Their interests ranged from occupancy of vacant structures, to illegal dumping on vacant land, to urban gardening. They were palpably afraid of the wildlife (pheasants, raccoons, deer, coyotes) that they had begun to see patrolling their streets. Much of the discussion centered on “blight elimination.” Their interests were motivated by how they feel when they are in their neighborhood, what they think they deserve, and how the current conditions impact the self image they carry with them into the world. In the eyes of the students, the wildland that is encroaching upon their neighborhoods is evidence that they have been ignored, forgotten, or blatantly disrespected. To them, uninvited nature in their neighborhood represents nothing more than urban decay requiring an intervention designed to eliminate it. Our discussion was wide-ranging and very animated. By the end of the day, we had arrived at an unexpected conclusion: maybe this new nature was an opportunity to be considered more carefully. Perhaps, the wildland that had emerged at their doorsteps was something better managed than eliminated, and maybe this was a civic issue that they, as young people, could actually do something about. Most surprising was their conclusion that maybe this opportunity made them the lucky ones after all. My discussion with the kids that day emphasized a simple truth that isn’t glamorous or romantic in the way many recent articles have portrayed Detroit and its residents. Detroiters are not necessarily willing stewards of the environment or intentional civic ecologists in this assertive nature that we find ourselves living amidst. We are merely human participants in the inevitable march of evolution, adapting as we must, surviving as we may. But we are surviving, and because Detroiters are resilient and hardworking, we are finding our place within this new wildland urban interface. Detroiters did not seek to experience nature within their city. This may be why they have not fully recognized its benefits. A few years ago, The National Wildlife Federation published a handy fact sheet that lists many of the benefits of human exposure to nature. A quick review reveals that despite heightened access to nature, Detroiters still suffer from the ills that exposure to nature is supposed to alleviate: ADHD, hypertension, obesity, diabetes, autism, increased depression, stress and pain. Our kids are asthmatic and hyperactive. Our adults are depressed, obese, and suffer from heart disease. 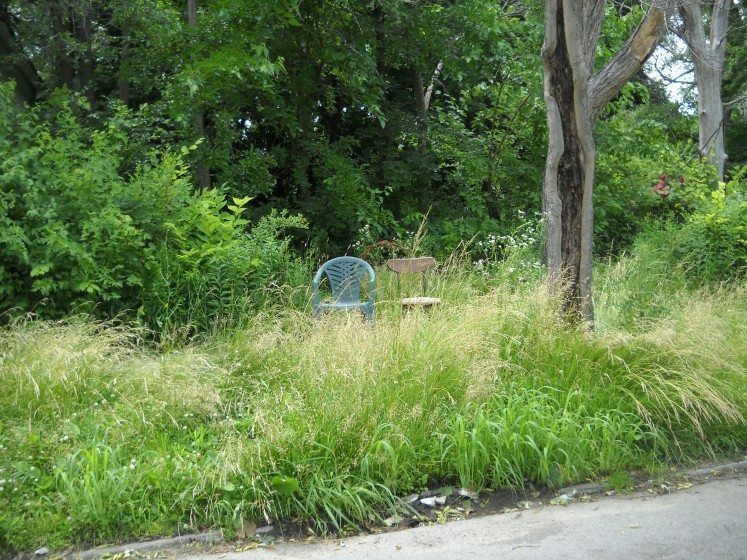 It’s no wonder that most Detroiters aren’t embracing the nature that has appeared in their urban space—they aren’t getting any of its benefits! I have begun to think that in order to realize the benefits of exposure to nature, one must intentionally seek it out. Further, the Detroit experience suggests that proximity to emerging wildlands does not equate to a connection with nature. Immersion in natural space undoubtedly increases the opportunities for connection with nature, but alone, it is not enough. To create connection, we must be intentional and deliberate in crafting quality opportunities for interaction with nature. So, given that Detroiters have more opportunity now than ever before to develop a meaningful connection to nature, what can we do to capitalize on our de facto immersion in wildspace to create that connection? 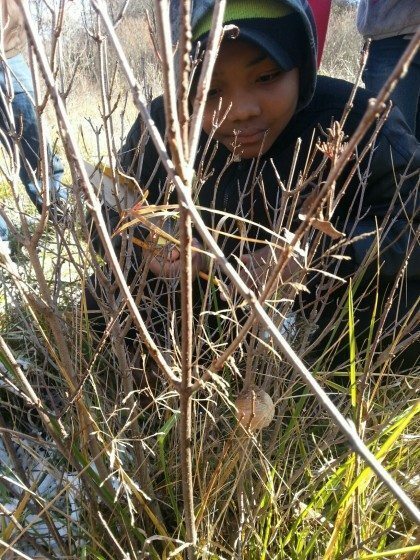 By giving the youngest and most vulnerable Detroiters the opportunity to experience nature in the wildland urban interface, we have begun to create tiny emissaries of true connection to nature. 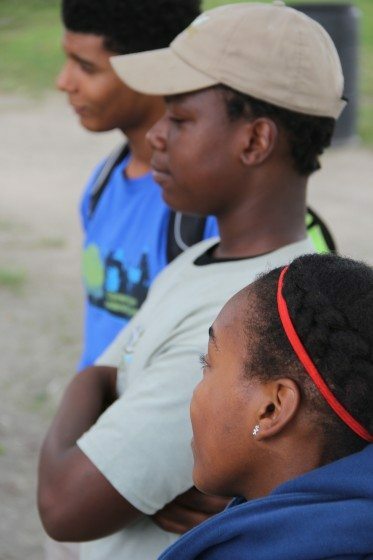 Infusing environmental education and nutrition education into the Detroit Public Schools curriculum was an important step in creating an environment where immersion in emerging wildlands could be recognized as an opportunity to build a connection to nature. We began in a classroom, building excitement and expectations for the things that we might find outside. We worked with teachers and students alike to make them comfortable with the idea of moving intentionally into the wildspace in our city. And then we ventured out. Our first adventures in the wildlands were a learning experience for all of us. Children in spotless basketball shoes labeled by LeBron picked their way gingerly through rubble and mud. So we bought boots. They showed up for our “field” trips unprepared for the weather. We brought hats and mittens. Teachers suggested that “troublemakers” stay behind. We made the troublemakers team leaders and let their exuberance light the way for their peers. Everyone was afraid of bugs, and spiders, and worms. We played I Spy and Wildlife Bingo and by the end of the day, we were searching pockets so that no pet worms made it back to the classroom. We all adapted. The kids (especially those “troublemakers”) thrived. The littlest of us all were some of the first to realize that the new nature that surrounds us just might be a gift. I’m betting that they will also be the first to exhibit the benefits of a connection to nature. Another group of Detroiters that have become emissaries to the wildlands can be found within the urban agriculture community. The urban garden is emerging in Detroit as one place where the barriers have started to come down for urbanites struggling to understand their place within the changing ecosystem of the City. Gardeners were some of the first residents to venture into the wildlands on the edges of their neighborhoods, carving gardens of all types from the emergent prairies and woodlands. We could consider urban gardeners the first to recognize the opportunity inherent in Detroit’s vast open spaces. These early adapters are a different breed; for the most part we aren’t talking about happy hipsters growing green zebra tomatoes and red russian kale in tidy urban allotment plots, although we have those, too. The pioneers in the wildland urban interface are a rough crowd forced off the grid by life circumstances and an unstable local economy; they are growing a crazy profusion of food in abandoned lots to feed their families and sustain their neighborhoods. For these folks, forging a connection to nature is not the primary objective. In fact, many times it seems almost accidental. Nevertheless, through the work in the garden, the gardeners develop an authentic connection to nature and come to enjoy the benefits that it creates. Another opportunity to bridge the gap between immersion and connection can be found in community-based planning and design. Encouraging residents to engage in discussions and planning activities around the vacant spaces in our midst almost inevitably leads them to recognize the benefits that they are already deriving from open space, simultaneously providing them with the opportunity to participate in its long term preservation and/or use. Community-based planning has gained momentum in Detroit during the past several years, and we now have examples of neighborhoods that are not only firmly connected to the nature that surrounds them, but are also empowered to begin to shape that space to facilitate comfortable coexistence. On Detroit’s lower east side, residents of several neighborhoods joined together to form LEAP, the Lower Eastside Action Plan. The LEAP target area borders one of Michigan’s most affluent suburbs as well as the Detroit River. It has a major automobile manufacturing facility within its borders, as well as several of Detroit’s major streets. Still, this area is notable for its residential abandonment and resulting acres of open space. The members of LEAP recognized the need to be proactive early on. They realized that community-based planning could give them a voice in what would happen in their neighborhoods. 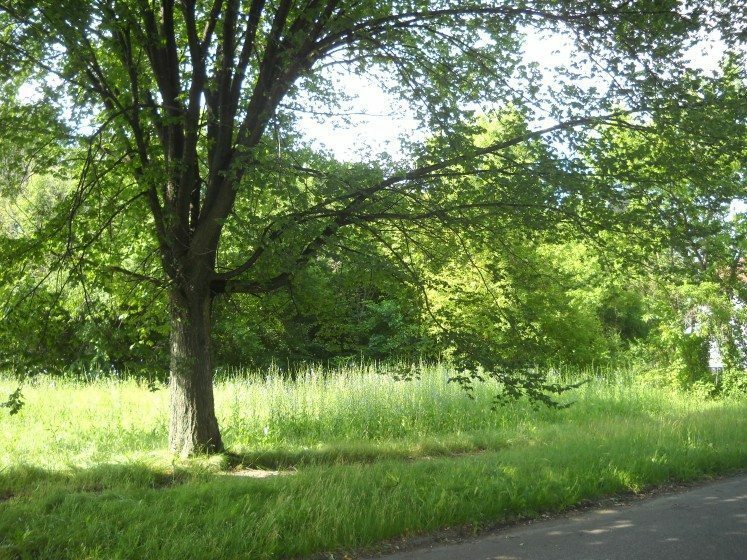 Today, they have an organized Greenway, an open space master plan in the implementation stage, and a voice in what will be done with the vast vacant spaces in their community. In the opposite corner of the City, the Brightmoor neighborhood came to community-based planning from the other direction. There, community residents first came together to build a garden and to rid their street of prostitutes and drug dealers. 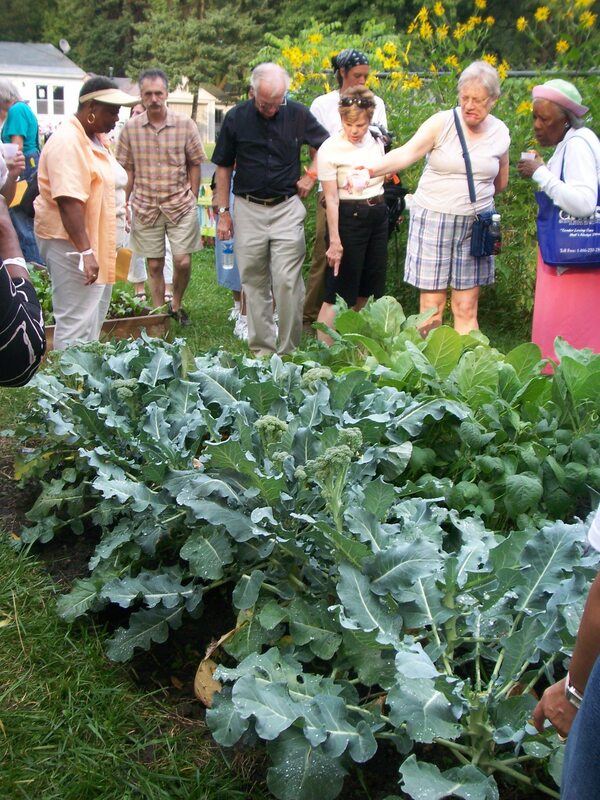 Soon after, a community group formed and the neighborhood began to redefine itself with gardens at its core. Brightmoor is another neighborhood near an affluent suburb, with abundant open space and a location along the banks of a (different) river. The natural assets of the place are undeniable. This is a place where gardens work with the existing terrain to create a connection with nature that is almost immediate for everyone who visits. Here, the plan came later. In fact, the plan was created as a tool to preserve and extend the community-based development that had already occurred in the neighborhood. These examples are fascinating when compared. The neighborhoods have similar assets: abundant wildspace, riverfront, proximity to an affluent suburb. They also have similar challenges: residential abandonment, aged infrastructure, combined sewer overflow issues. And they arrived at a similar conclusion—that community-based planning was a valuable tool to help them manage the wildland urban interface that had come to exist in their neighborhoods. 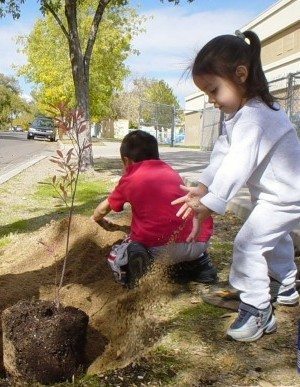 The control that community-based planning provided helped both of these neighborhoods turn immersion in wildland into connection to nature for their residents. In each neighborhood, the residents are beginning to experience the benefits of their exposure to nature. Not surprisingly, these benefits are more readily visible in the Brightmoor neighborhood. After all, those residents intentionally sought the benefits of nature through gardening. Detroit has miles to go when it comes to capitalizing on the wildland that has emerged in its core, but we have begun to recognize that these places give us the chance to create a city that more fully supports its citizens. Our children and our gardeners have shown us that connection to nature can be wrought from immersion in wildland. Our community planners have demonstrated that planning can create a voice for residents, leading them to recognize the value in nature. 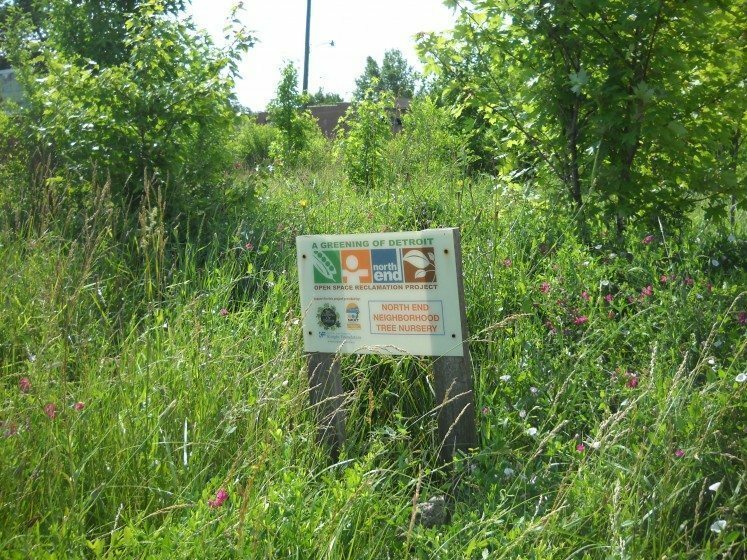 Detroit’s wildlands hold its richest opportunity to improve the lives of its citizens. These are places were Detroiters can learn to embrace nature and in so doing, realize the lifelong benefits that such a connection provides. This unique opportunity must be cultivated carefully in recognition that connection to nature is not assured even given immersion in wildland. This is no time to stand idly by. Those of us who have been fortunate enough to enjoy a connection to nature must get off the sidelines and help orchestrate the preservation, use, and enjoyment of Detroit’s most surprising asset; the new nature at its core. Eljay: I hope that the article provided some support for you as you work your garden. Greenspace is sports important for our mental wellbeing in areas where we are surrounded by concrete and asphalt. I hope that you can find a way to preserve your own small patch of wild. Thank you for this article. I have problems with the Municipal where I live, to keep my garden wild. I am constantly admonished to remove vegetation in my garden because they are deemed ‘dirty’. ‘Wild’ is equated with dirtiness, untidiness, and the breeding ground for pests such as snakes and mosquitoes, especially in a tropical country. 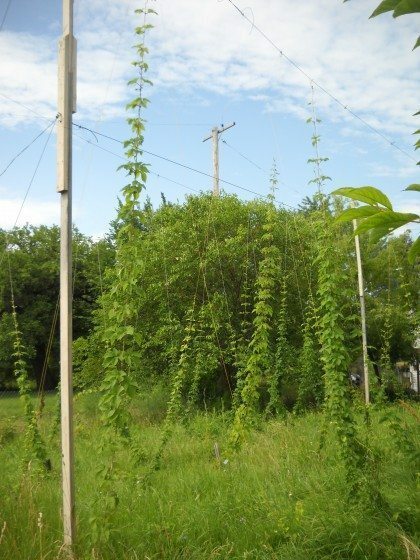 I am thinking of whether to yield to the pressure, or to continue to search for more concrete science to support my drive to re-wild my community, starting with my own garden (which took about 15 years), situated within a jungle of concrete, when I came across your article. What a beautiful article Rebecca. I loved reading it. I’ve never been to Detroit, but hope that I can get there someday. I really like how you draw the distinction that it isn’t enough to be surrounded by nature to be connected to it. There must be intention in making nature accessible and understandable before one can move to the next level of caring for, and then loving, the wild spaces around us. Well done! Two portions of your feature really resonated with me: the brainstorming session with high school students and the environmental education program. Your insight that physical proximity to nature does not ensure connection is brilliant. Intent and purpose are key drivers to collapsing the distance between access and benefit. Also, I appreciated the reframing of the capabilities of so-called troublemakers — redirecting their exuberance towards leadership roles! I look forward to reading more about the community greening of Detroit. It’s funny because Brightmoor has come full circle from the ’20’s when both of my parents lived there. They swam in the Rouge River and practiced gymnastics on the huge sand hill near Brammell & Fenkell.